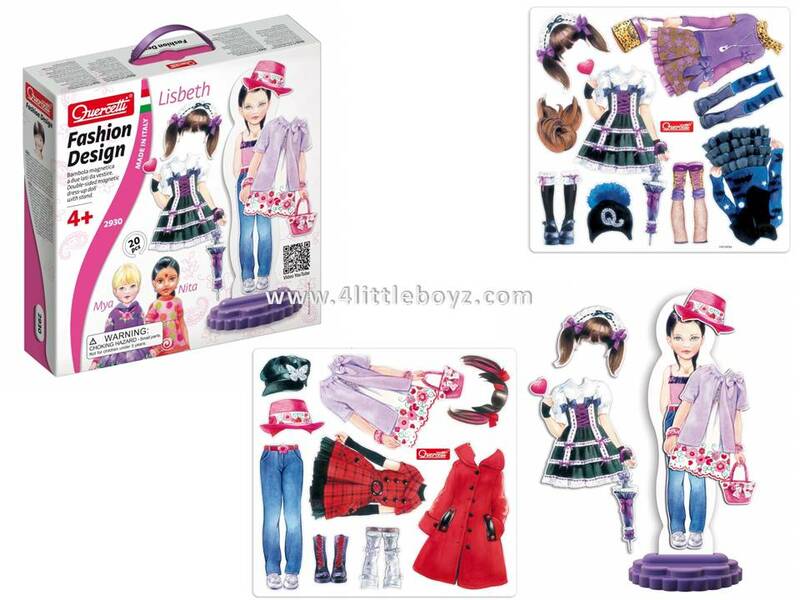 A new and improved version of a well known classic that has entertained so many generations of little girls! 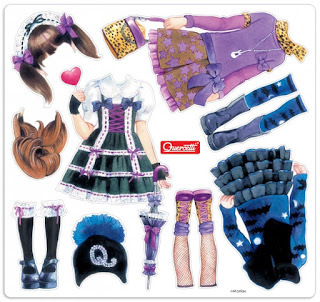 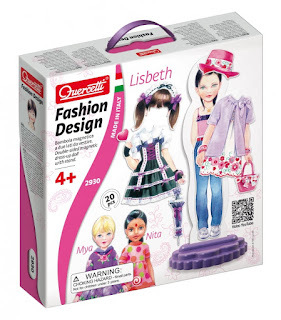 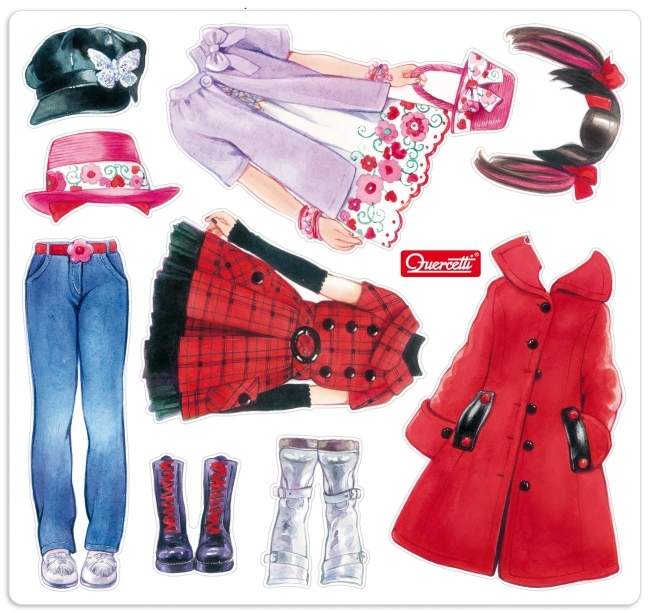 Our magnetic version of the dress-up paper doll is easier to play with and certainly…more fashionable! 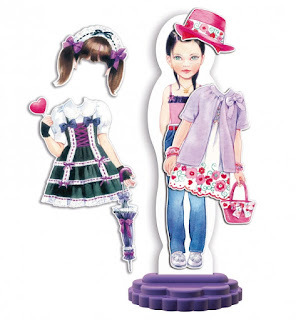 With Fashion Design girls can have a great time trying a variety of different styles on our magnetic models: three little fun sisters, each with her own unique look. Just like real fashion designers, girls can play with an extraordinary selection of clothing pieces that come in a variety of colours and styles with all sorts of fashionable accessories made to meet their taste for fashion. Each doll has a stand-up support and two magnetic sides with two different postures and hairdos, for hours of fun and creative play.